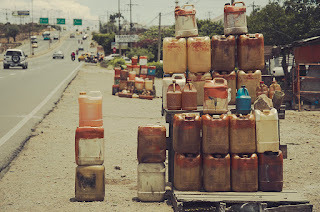 Rivers of gasoline flow across the border from Venezuela into Colombia’s La Guajira department, feeding an immense illegal market and enriching a new criminal group in the fuel smuggling world. Known as the Contraband Cartel, (Cartel del Contrabando) it controls the area’s lucrative fuel smuggling business. Product travels from Maracaibo, the capital of Venezuela’s Zulia state, to the city of Maicao in La Guajira. Once Venezuelan gasoline enters Colombia, the price skyrockets 3,700 times, costing between $0.84 and $2.07 per gallon. 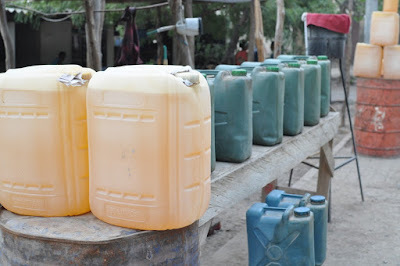 La Guajira’s last city before entering Venezuela offers the sale of gasoline in “pimpinas,” plastic containers with a five-gallon capacity. The pimpinas are the last link in the fuel smuggling chain. President Nicolás Maduro of Venezuela announced an adjustment to the price of gasoline to the international standard specifically to put an end to the contraband mafias.